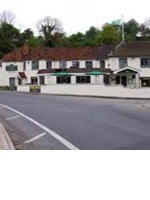 Britain Taxis in Thame work closely with hotels in the South Oxfordshire area and all the hotels listed below are highly recommended by us. Whenever you stay at one of these great hotels make sure to call Britain Taxis for all your journeys. 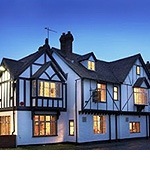 A prestigious 4 star hotel just outside Thame, perfect for spa breaks, weddings and conferences. Ideal for a city break in Oxford. 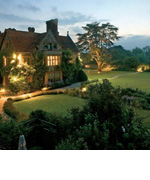 The stunning grounds of this magical Oxfordshire restaurant would be worth the trip alone, but chef-owner Raymond Blanc ups the ante with to-die-for new French cuisine and faultless service that’s the pinnacle of graciousness. Situated in the heart of the Chilterns, a luxury 50 bedroom hotel and spa with a Championship Golf Course of outstanding quality. 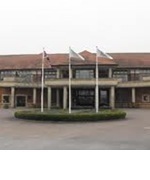 Ideally situated for easy access from both London and the Midlands, The Oxfordshire is perfectly positioned for events, conferences and weddings. The new look Lambert Arms completely transformed inside, yet retaining its original, historical features, this traditional coaching inn has been caringly restored. The heart of the hotel is a sixteenth century public house, abundant gardens, eclectic design, and inventive facilities within eighty acres of working farmland, all contribute to its distinctive personality. 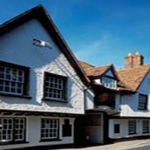 The Spread Eagle hotel in Oxfordshire has stood imposingly in the heart of historic Thame since the 16th century. The Georgian facade is instantly recognisable by all. 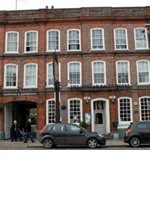 During its colourful history this Thame hotel has played host to Charles II, French prisoners from the Napoleonic wars, famous politicians and writers such as Evelyn Waugh. 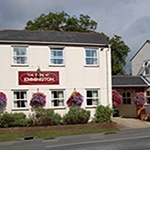 The Inn at Emmington is a traditional countryside inn dedicated to providing good food, fine cask ales, beers and wines and a friendly atmosphere. Our seven bedrooms offer comfortable, spacious accommodation with views over the Oxfordshire countryside or the quiet garden. 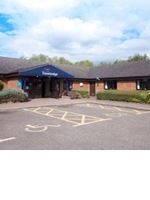 In 1985, Travelodge opened the UK’s very first budget hotel. Today the company is the country’s fastest growing and most innovative hotel chain. 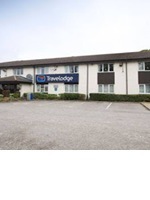 Travelodge Wheatley is ideally located as a base to visit the surrounding attractions including Oxford, Bicester Village, Waterperry Gardens and many more. Set at the foot of the beautiful Chilterns in picturesque Henton near Thame. Located just 50 minutes to London via the M40, the hotel offers quality accommodation, restaurant, free WiFi and ample on site parking. 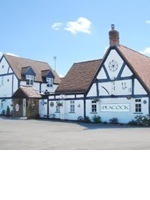 This is a friendly Country Inn making the ideal location for business and leisure with easy access to Oxfordshire, Buckinghamshire and Hertfordshire. A delightful coaching Inn with lots of exposed beams, flagstone floors, roaring log fires & cathedral candles all creating a traditional village atmosphere. 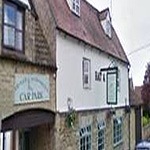 A delightful restaurant & freshly prepared menu which has gained an enviable reputation. The Shillingford Bridge Hotel is a unique and individual hotel located on the river near Wallingford, Oxfordshire. 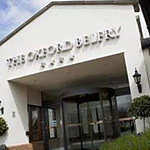 It is perfect for a short break, family holiday or relaxing weekend stay from which to explore Oxford and the many attractions in the surrounding areas. The George Hotel is a Tudor 16th century Coaching Inn, located in the heart of the very quaint and characteristic market town of Oxford. 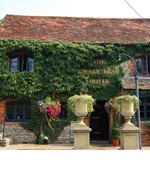 A 15th Century coaching inn set in the heart of Oxfordshire. Dorchester-on-Thames is central to many major centres of commerce and historic sites in southern England, including London, Birmingham and the whole of the M4 corridor. 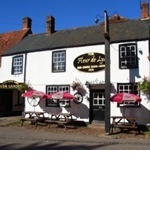 The 16th century Fleur de Lys Inn provides a perfect retreat for a weekend or mid-week break. Stroll along the High Street, steeped in historic English charm and visit the magnificent Augustinian Abbey, or enjoy the surrounding countryside with its myriad of delightful rambles, including the sleepy Thames riverbanks and the spectacular views from the top of Wittenham Clumps.